Here’s another video from the Rayman Legends Challenges App for Wii U. This video is the daily challenge for May 10th and is courtesy of MrCoolGaming & GoNintendo. Click the jump to see the video and check out the source links for more videos from MrCoolGaming including other videos featured in the Rayman Legends Challenges App on Nintendo’s Wii U console. 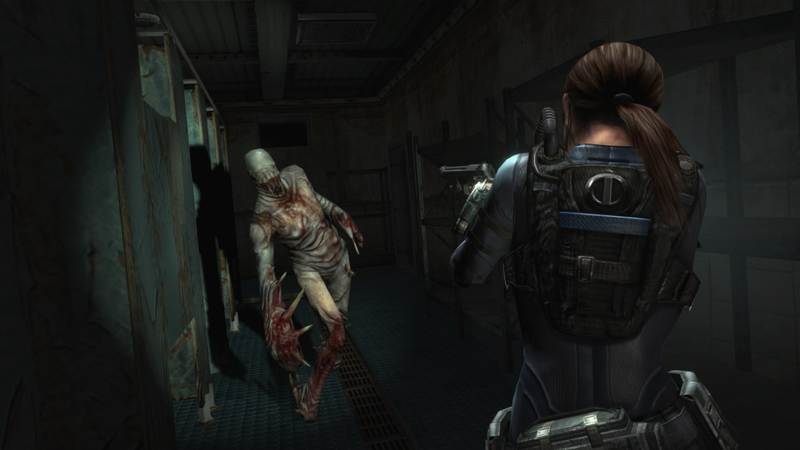 Capcom has posted Part 3 of their Developer Diary series for the Resident Evil: Revelations remake. 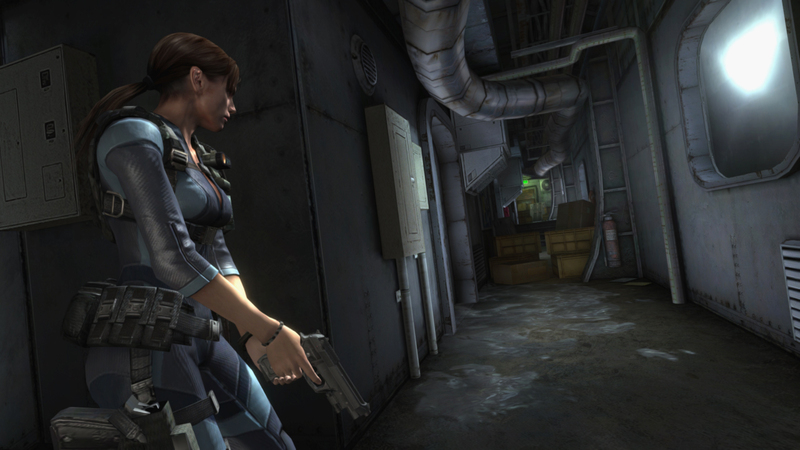 Revelations was originally a portable title on the 3DS and is being remade for PC, PlayStation 3, Wii U, and Xbox 360. Resident Evil: Revelations is scheduled to be released on May 21st in North America, May 23rd in Japan & Australia, and May 24th in Europe. 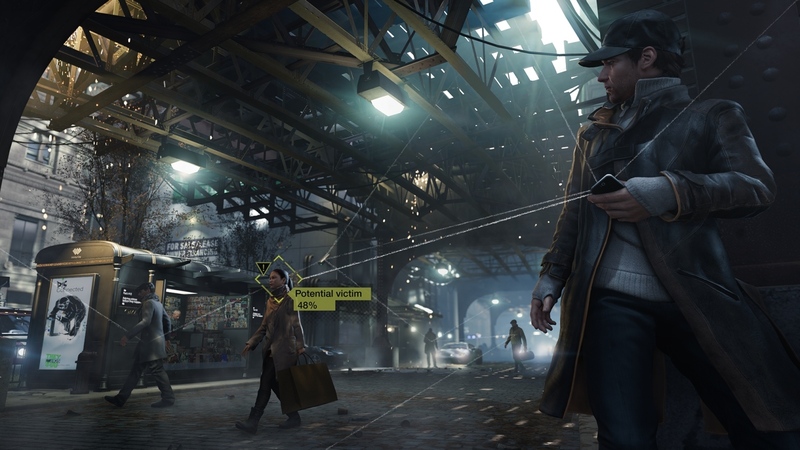 Kotaku has posted an impressions/preview article for Ubisoft’s Watch_Dogs. There are several videos posted there as well with various footage of the demo they were shown. Click the link below to read their impressions and see the videos. 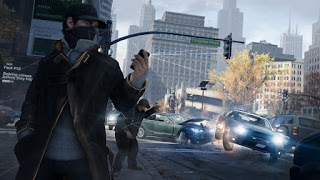 Watch_Dogs is scheduled to be released this coming Fall. You can pre-order Watch_Dogs in the GameSaga Mega Store and help support the site at the same time. “Explore the world with Wii Street U powered by Google, only on Wii U! This piece of software is free to download for a limited period of time, and allows you to see places all over the world from the comfort of your own home. Simply tap in a place name – or even co-ordinates – on the Wii U GamePad and (where available) you’ll see a bird’s-eye view map on your TV, and the view from the ground on the GamePad. Motion controls allow you to use the GamePad intuitively to alter your viewpoint – move it up, down, and all around you to get a better perspective! With a software update that’s available now your Wii Street U experience becomes even easier to use, and has more great features than before. The update adds Miiverse functionality, allowing you to write about your favourite spots on Miiverse, and post or view screenshots, from within Wii Street U powered by Google itself*. Create bookmarks for places that you’ll want to come back to at the touch of a button, add Miiverse-supported tags to your bookmarks, see a location’s elevation, and even check which way is north using the on-screen compass! It’s even easier to explore on the ground because the handy Street View Guide (the line that shows all the paths you can follow) will turn a darker shade when you’ve already been somewhere. To help you keep track of all these new features, handy hints will display as your application loads to help you get to grips with the new stuff. 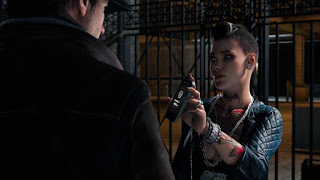 IGN has posted a video looking at the Free Roaming aspect of Ubisoft’s upcoming stealth/action-adventure game, Watch_Dogs. Watch_Dogs is scheduled for release on November 19th in North America, November 22nd in Europe, and November 21st in Australia for 360, PC, PS3, and Wii U. The game is scheduled to come to the PS4, but no release date has been announced thus far beyond Q4 2013. GameTrailers has an impressions video posted for Ubisoft’s Watch_Dogs. 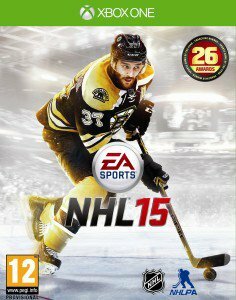 It’s part of their “First Take” series and features a discussion of their impressions interspersed with footage from a demo of the game. 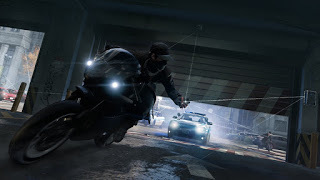 Watch_Dogs is scheduled for release on November 19th in North America, November 22nd in Europe, and November 21st in Australia for 360, PC, PS3, and Wii U. 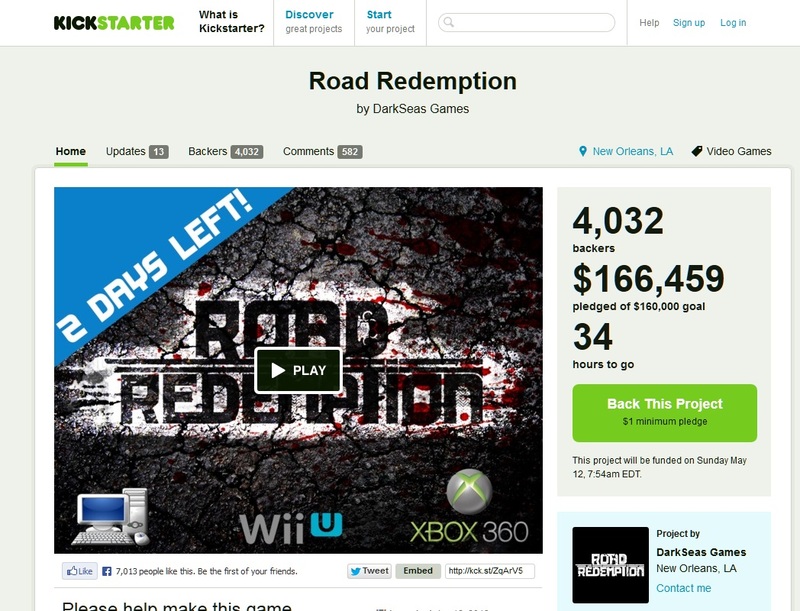 The game is scheduled to come to the PS4, but no release date has been announced thus far beyond Q4 2013. Action Adventure, Consoles, Footage, GameTrailers, GoNintendo, Impressions, PC, PlayStation 3, PlayStation 4, Stealth, Ubisoft Montreal, Ubisoft Reflections, Videos, Watch Dogs, Watch_Dogs, Wii U, Xbox 360,Those of you who were looking forward to Road Redemption, the spiritual successor to Road Rash, will be pleased to hear that DarkSeas Games Kickstarter campaign has been fully funded. There’s still 2 days left on the campaign though if you wish to contribute. 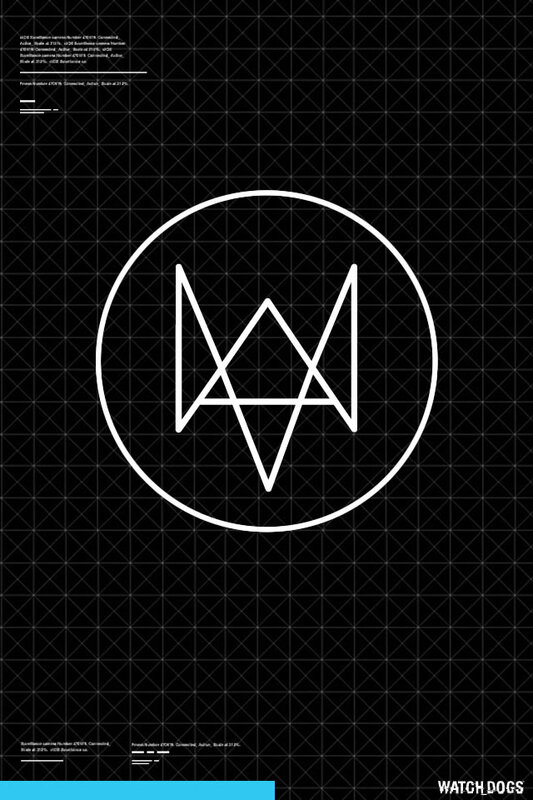 Consoles, Crowdfunding, DarkSeas Games, GoNintendo, Kickstarter, Multi-Platform Podcast News, PC, Racing, Road Rash, Road Redemption, Spiritual Successors, Vehicular Combat, Wii U, Xbox 360,The Watch_Dogs Twitter account has posted several different mobile device wallpapers that you can download. This one here is for the iPhone 4. There’s also ones for the iPhone 5, iPad, iPad Retina, HTC Mega, and then generic ones for several different screen resolutions. 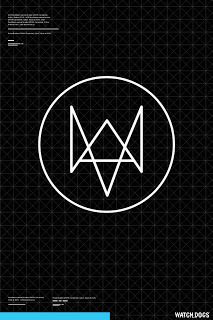 Check out the link to the Watch_Dogs Twitter Account below for the rest. Sega sold 1.31 Million units for the maligned Aliens: Colonial Marines according to a report on NeoGAF. They also sold 1.36 Million units for Sonic & All-Stars Racing Transformed. Those were their top 2 titles for FY 2013. 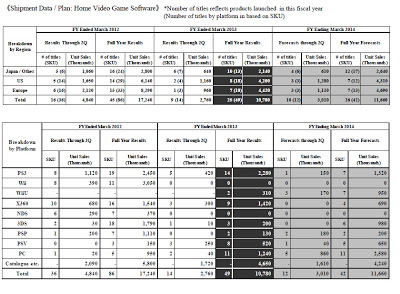 For next fiscal year, Sega is planning to release 42 SKUs by the end of Fiscal Year 2014 according to this report posted on NeoGAF. Interesting to see that Xbox 360 is scheduled for fewer SKUs than Wii U & PS3. Perhaps this means Sega will be bringing other titles to the Next Xbox for FY 2014. Also PS4 was not listed either. You can view more financial info over on NeoGAF, which is linked below. Aliens: Colonial Marines, Financial Information, Financial Reports, General Podcast News, GoNintendo, NeoGAF, Sega, Sonic, Sonic And All-Stars Racing Transformed,Atlus has put out a lot of footage for Shin Megami Tensei IV. 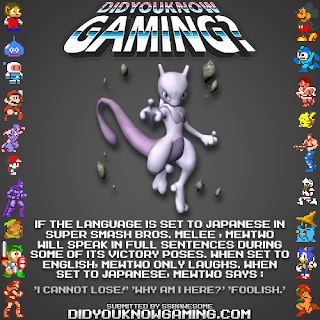 These are from the Japanese version of the game. You can view more over on Famitsu, which is linked below. Shin Megami Tensei IV for the Nintendo 3DS is the latest main entry in Atlus’ long-running Megami Tensei series. SMT 4 is scheduled for release on May 23rd in Japan, July 16th in North America, and sometime this Summer for Europe. 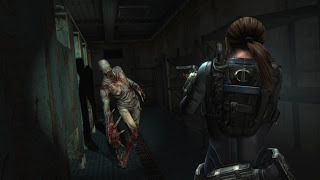 3DS, Atlus, Famitsu, GoNintendo, Megami Tensei, Nintendo, Portables, RPG, Shin Megami Tensei, Shin Megami Tensei IV, Videos, YouTube,4Gamer has posted a few new screenshots for the remake/HD upgrade of Resident Evil: Revelations. We see heroine Jill Valentine looking down a hallway, getting ready to put some lead into a zombie, and in another we see her in a precarious position with someone’s boot looming nearby. 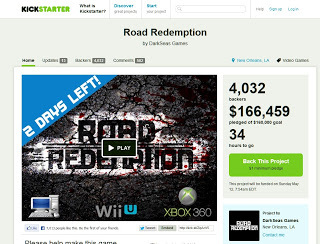 You can view more info about the game at 4Gamer. Here’s a Google Translated link for those of you who can’t read Japanese. 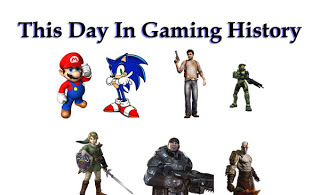 Source: Chronology of Video Games & WikipediaCarmageddon, Chronology of Video Game Systems, Command and Conquer 3: Tiberium Wars, E3 2006, Halo 2, Metal Gear Solid 2, Monaco: What’s Yours is Mine, PlayStation 2, This Day In Gaming History, Wikipedia,Mewtwo is one arrogant jerk eh? Apparently he is “above” being in a game such as Super Smash Bros. Melee, calling it foolish and questioning his existence in the game. 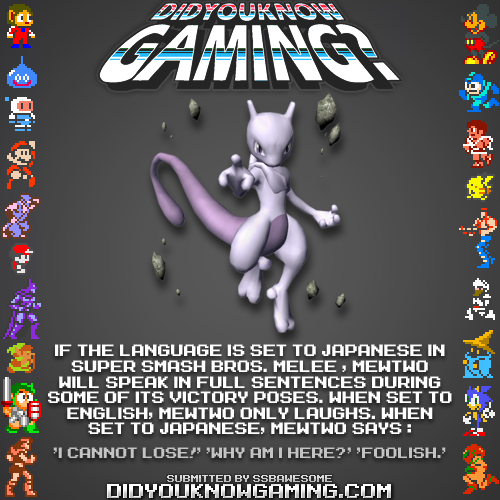 Well if you play the game in Japanese anyways. In the English version, he doesn’t say anything, he just laughs. Yesterday Dead or Alive 5 Ultimate was announced. We have the full press release up, plus screenshots, and a trailer. We also heard a pretty big rumor regarding the Next Xbox. The rumor is that it will be called Xbox Infinity. We did an analysis of this possible name in our Top Storitorial as well. We also found out that Woflenstein: The New Order will be single player only, the Ouya console has been delayed, Injustice: Gods Among Us will finally get DLC on Wii U this Summer, a trailer and screenshots for Muramasa Rebirth, Part 2 of the Bravely Default: Flying Fairy Iwata Asks, Watch_Dogs details, and a whole lot more. Be sure to check out our Forums while you’re here. 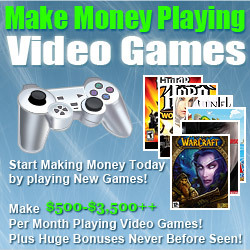 You can post in there to discuss stories on the site, talk about gaming in general, or anything else. And if you want to ask questions for the podcast you do so in there as well. As always, thanks for checking out the blog and for any and all comments. If you want to send in a news tip, ask a question for the podcast, or give general feedback, feel free to E-mail Us, send us a message or comment on Facebook, or send us one on Twitter, or post a topic in our new Forums. Don’t forget to like us on Facebook & follow us on Twitter and check out the GameSaga Mega Store (powered by Amazon) for all your gaming needs and much more and check out the GameSaga Podcast Archive for past episodes of the show!